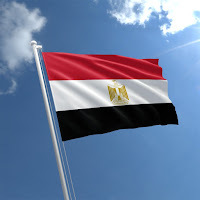 Country Summary: Egypt does not adhere to any protocols with respect to international parental child abduction, and left-behind parents of children abducted to Egypt have limited options to resolve their cases. Voluntary Agreements are the primary means for obtaining the return of children from Egypt. In 2003, the United States and Egypt signed a Memorandum of Understanding (MOU) to encourage voluntary resolution of abduction cases and facilitate consular access to abducted children. While Egypt was cited for non-compliance in the 2016 report, last year Egypt expanded its engagement with the United States under the existing MOU, and worked with the Department of State to resolve more abduction cases. During 2016, resolutions increased to four times the number of the previous year reflecting a pattern of improvement. Significant Developments: During 2016, Egyptian authorities engaged extensively with the United States to review methods for resolving cases, and expressed interest in expanding cooperation between our two countries. Egypt's Ministry of Foreign Affairs was an active interlocutor regarding abduction issues and pressed for creation of a new inter-ministerial committee to consider Egypt’s possible ratification of the Hague Abduction Convention. Officials from the Ministry of Foreign Affairs and the Justice Ministry met frequently with U.S. Embassy staff in Cairo to discuss individual abduction cases. Egyptian authorities successfully mediated in one case to facilitate a U.S. father’s access to his sons in Egypt. Central Authority: In 2016, the competent authorities in Egypt worked closely with the United States to discuss improvements to the resolution of pending abduction cases. However, the options for resolving these cases under Egyptian law are limited. Successful mediation by a subcommittee of the Ministry of Justice resulted in voluntary agreements in some cases. We believe this subcommittee has the capacity to expand its role in this regard and could play a greater role in providing left-behind parents with information regarding possible legal remedies in Egypt. Voluntary Resolution: In 2016, four abduction cases were resolved through voluntary means. Location: The Department of State did not request assistance with location from the Egyptian authorities. Judicial Authorities: While some abduction cases were resolved by the Egyptian courts, the lack of clear legal procedures for addressing international parental child abduction cases under Egyptian law made it very difficult for Egypt to address these cases. Recommendations: The Department will continue to encourage Egypt to join the Convention and expand public diplomacy activities related to the Convention. The Department also recommends an emphasis on preventing abductions.